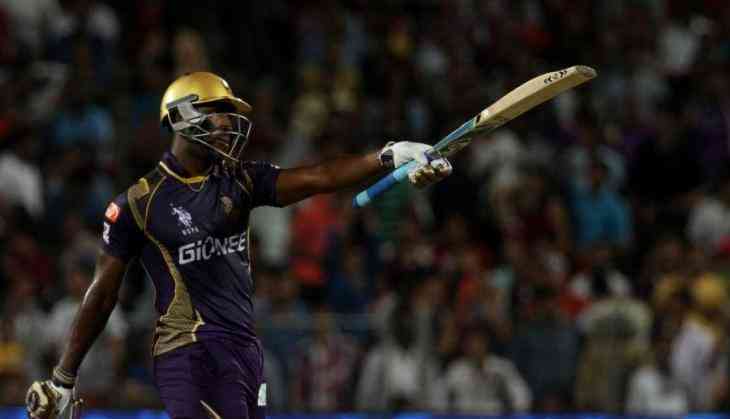 Kolkata Knight Riders player Andre Russell who played a brilliant knock against Chennai Super Kings again took his bat on high and played another hard-hitting knock against Delhi Daredevils. The West Indies all-rounder made 41 runs in just 12 balls with the help of 6 sixes. Andre Russell has become the player who hit most sixes but he doesn't feel that he is a sixer king. On Monday after the first inning Andre Russell in front of the TV presenter said that he doesn't feel he is the sixer king. Actually, he was asked whom he will say the sixer in between him and Chris Gayle. While replying to it Russell said that he will always take Chris Gayle on the upper side. This is to notice that Russell is being proved as one of the most emerging players for Kolkata Knight Riders and he had played several interesting innings for KKR till now. This is why maybe KKR chose to retain Russell besides they didn't choose Gambhir for their team. Currently, Andre Russell is in the top position by hitting 19 sixes in 4 matches, whether Sanju Samson who played great knock against RCB is in the second position with 12 sixes in 3 matches. The interesting thing is that other three players Sunil Naraine, Robin Uthappa, and Nitish Rana of KKR are also on the list by hitting 7 sixes.